The Boogie Board from Kent Displays is a simple notepad like gadget which lets you scribble or draw, and then erase your work at the touch of a button. At CES 2015, I caught up with Kent Displays and they showed me their latest model, the Play & Trace. 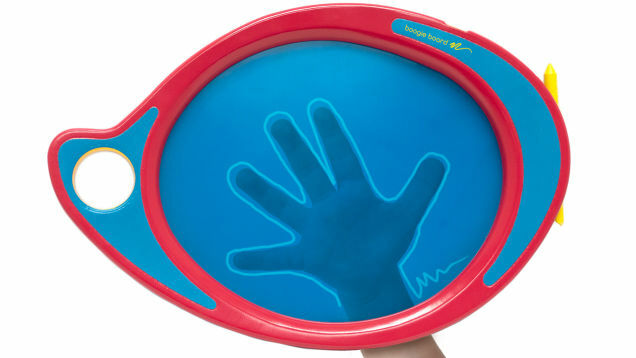 Scheduled to ship in time for Christmas, the Play & Trace will be the first Boogie Board to feature a translucent. As you can see in the video, the Play & Trace was made translucent so kids would be able to place it on top of a sheet of paper or a tablet and trace what they see. When they're done they can clear the screen with the press of a button. This modern take on the familiar lift-and-peel drawing pads was developed specifically for the kid's market, and will cost around $30. Is Waterstones Getting Ready to Walk Away From Amazon?